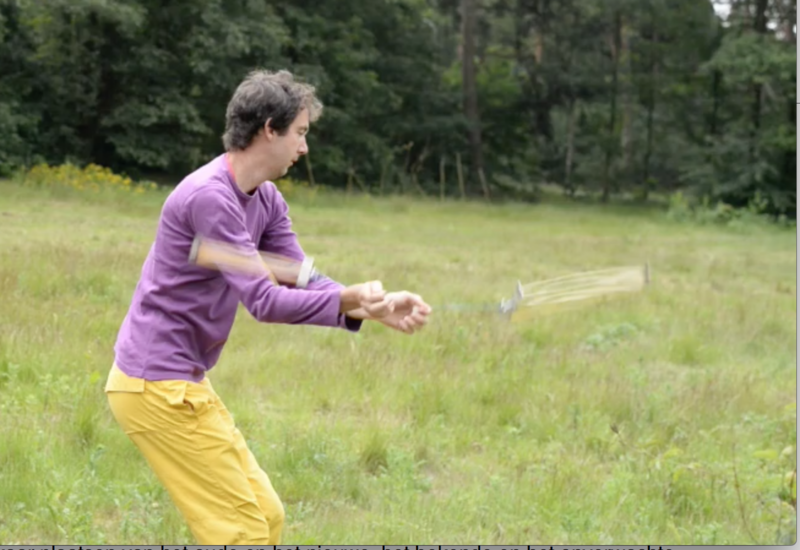 A playground of movement and sound: composer Arthur Wagenaar, juggler Guido van Hout and instrument inventor Dianne Verdonk have combined their powers to develop a series of new musical instruments that can be played through juggling. Think of amplified kites flying around, waving streamers with resonating feathers, wobbling bells, and ticking tops. There are also sensors that measure the spinning of clubs and translate this into sound, or measure the impact of a ball and use this to trigger samples. After a series of concert tests in the autumn of 2019, the instrument will be employed as part of a unique circus production exploring patterns: being stuck in patterns and breaking patterns free of them. 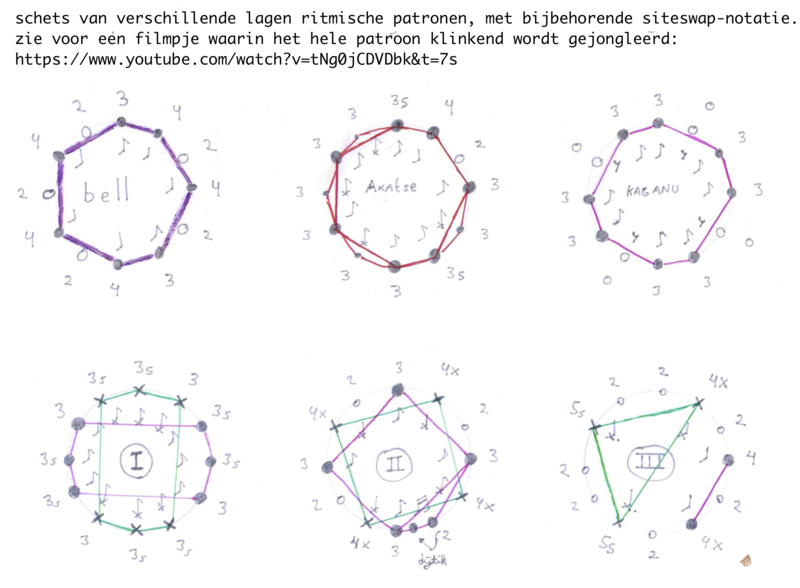 Arthur, Guido and Dianne will be joined by a fourth musical juggler, under the direction of Joeri Vos (Veenfabriek). We use musical and juggling patterns as a metaphor for patterns in real life, be it personal habits or large geopolitical systems. We’re trying to break free. We’re creating a playground, a refuge. In our world, the rules might change any moment and nothing is impossible. As part of the audience, you won’t sit still! Everyone will learn how to juggle music, everyone may play our instruments. Everyone may enter the playground. There will be two versions: a short version of about 25 minutes (available for booking from April 2020), and a long version of about 60 minutes (available for booking from September 2020). Both are without spoken language, for all ages, and suitable for both outdoor and indoor spaces. 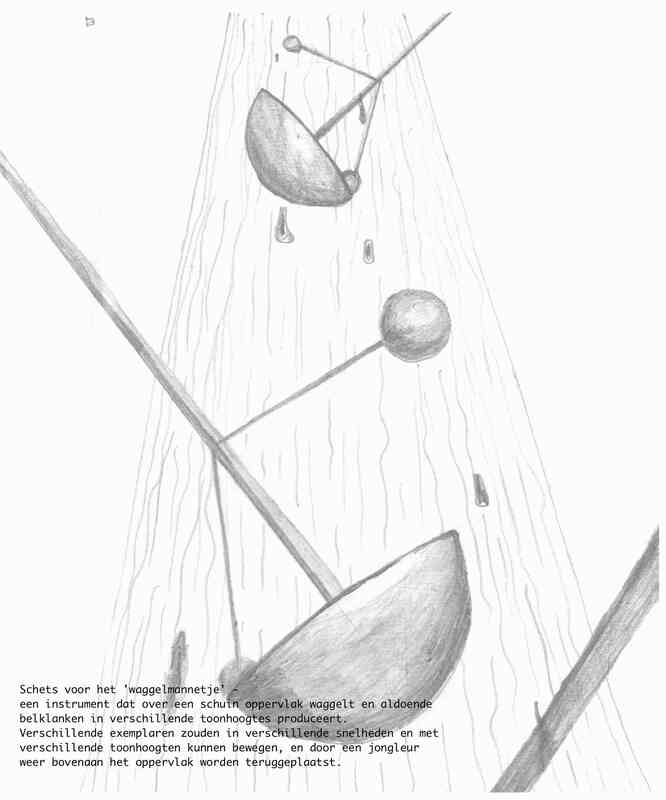 SOUNDS LIKE JUGGLING is the new production by Goed Bezig!, the foundation of composer Arthur Wagenaar (Stads/Einder, Close Call). In co-production with Gaudeamus Muziekweek, Veenfabriek, and Werkplaats Diepenheim / Stichting Kunsten op Straat.